Non-Toxic Nursery Paint. Are you planning to paint your baby’s nursery? I know a lot of parents like to choose a special color for their baby’s room. It can play a large role in bringing together the look and design of the room. However, household paint is often one of the leading contributors to poor indoor air quality and toxin exposure. If you’re being careful about your baby’s chemical exposure by investing in non-toxic furniture, organic baby clothes, and non-toxic baby products, you will also want to be careful about air quality and the type of paint you use in the nursery. Conventional household paints can contain up to 10,000 different chemicals, including hundreds of known toxins and carcinogens. And as paint dries, harmful volatile organic compounds (VOCs) are released into the air, polluting its environment. 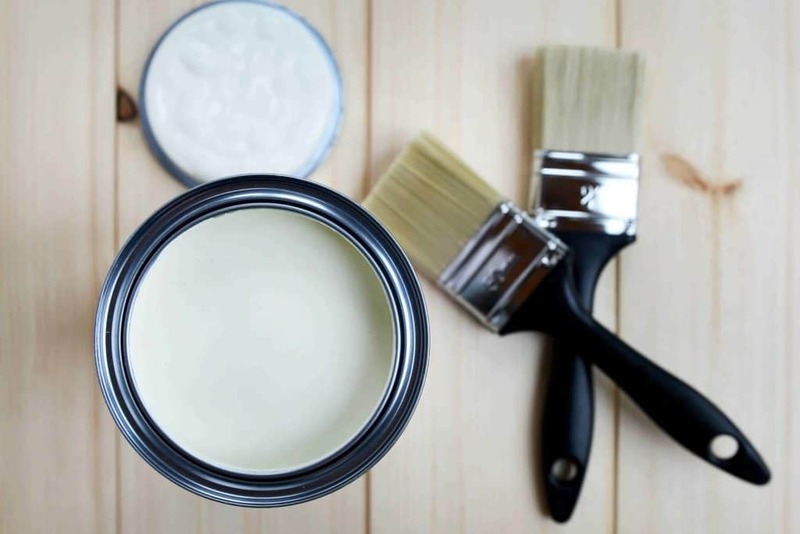 While it’s best to avoid painting the nursery (or your house) at all, the safer route if you decide to (or need to) paint is to use natural paints or zero-VOC paints, which are still effective while posing less of a health risk. First, let’s talk a little about volatile organic compounds and why we want to avoid them. VOCs are harmful and unstable chemicals that easily vaporize into the air at room temperature. They include chemicals such as gasoline, benzene, and formaldehyde, and solvents such as toluene and perchloroethylene (the main solvent used in dry cleaning). They react with sunlight and create smog. VOCs can be found indoors and outdoors, and are released when items are used (like painting a room or pumping gas) or stored (like keeping cans of paint in your garage). Although paint emissions are the highest during and immediately after paint application, they can continue to release low levels of toxic emissions for several years. Indoor air quality can be up to five times more polluted than the air outside, and this can largely be owed to the many items in our homes that off-gas VOCs. Be sure to air out your home, choose non-toxic products whenever possible, and use an air purifier to reduce your exposure to VOCs as much as possible. Some organic compounds have shown to cause cancer in animals, and are suspected (or known) to cause cancer in humans. Symptoms can range from small headaches and eye irritation to serious health issues like liver toxicity. And when it comes to a child’s developing system, it is important to know that their sensitivity to chemicals and VOCs is far greater than an adult’s. For this reason, we want to limit toxic exposure to VOCs as much as possible, and one of the ways to do this is to carefully choose the products we use on and near our babies. When it comes to choosing the paint you’ll use in your baby’s nursery, it’s essential that you go with a safer brand with lower emissions. There are two options when it comes to choosing a brand of non-toxic nursery paint: zero-VOC paints and natural paints. I didn’t include low-VOC paints on this list because I felt the emissions were higher than they should be, and because zero-VOC paints are a better alternative. Zero-VOC paints are growing in popularity, and I am glad they are because they are much safer than conventional paint. You can feel confident choosing a zero-VOC line of paints, but you should know that they can still contain low levels of VOCs. By law, paint can contain VOC levels of up to 150 grams per liter (g/l), according to the State of California’s regulations (which are stricter than federal guidelines). Low-VOC paints usually contain 50 g/l or less and zero-VOC paints usually contain 5 g/l or less. As you can see, zero-VOC paints will significantly reduce your exposure to VOCs, by as much as 96% if you live in the United States. But zero-VOC paint still contains VOCs. Why? Well, essentially because paint requires solvents; otherwise it would not adhere to the wall. Zero-VOC paint is simply made without the use of VOCs listed in the US Clean Air Act (which sets standards for outdoor emissions, not indoor air quality). So, essentially, zero-VOC paint is made with “exempt VOCs”. So these “exempt” solvents? They may still be toxic, but they simply don’t fall on the list of prohibited solvents as defined by the Clean Air Act. Zero-VOC paints can contain solvents that are exempt but still hazardous to your health, and/or they may contain undetectable levels of problematic VOCs. Another thing to know about zero-VOC paint is that they will still contain agents that preserve the paint and prevent mildew from forming. Not ideal, right? Still, this is likely far better than using conventional paint. When we painted our house, we didn’t have a lot of time to research paint options and went with Benjamin Moore Natura. Although we aired out the house before, during, and after it was painted, we didn’t smell any fumes or have any physical reaction symptoms such as headaches. I was pleased with the decision to use Natura paint, although knowing more now, I would probably also consider ECOS and Lullaby Paints or a natural paint brand. Another option to consider is using natural paint. Natural paints are made from natural materials such as linseed, citrus, and soy oils, minerals, lime, plant pigments, clay, and chalk. Some natural paints can still off-gas VOCs, so it is important to do your research and contact the manufacturer before you choose a brand. Milk-based paints are yet another natural option to consider, as they are completely non-toxic and safe. In fact, they have been used for thousands of years and were popular until acrylic paints came out. Made from casein, and without the use of petrochemicals, milk paints do not emit VOCs. There’s no right answer, so weigh your pros and cons. Zero-VOC paints are safer than conventional paint, but they are far from perfect and likely still contain toxic substances (including mildewcides in most cases). Natural paints might be safer, but some may also contain VOCs. Milk paints might be the safest option, but they can also be a little difficult to mix and use. Check out the various options and be sure to ask the company for their MSDS sheet and VOC levels for the specific paint you are interested in. In either case, it’s not a bad idea to wait on painting the nursery (or not paint it at all) if it can be avoided. If you decide to paint your nursery, here are a few tips to reduce your exposure to VOCs and for a list of zero-VOC paint brands. If you are pregnant, I would strongly urge you not to the nursery yourself. Instead, ask for assistance or hire a professional. Air out the room(s) before, during, and after application for several days. Keep the windows open as long as possible. Use an air purifier as much as possible. Paint the nursery as far in advance of your baby’s due date as possible to allow it to air out. Choose only a zero-VOC or natural line of nursery paints. Make sure to look up the level of VOCs present in the paint you choose, and ensure that it is at or below 5 g/l. Choose a low-VOC pigment. Adding color to your paint can increase the level of VOCs, so it’s wise to choose a low-VOC pigment as well. On average, pigments can add about 10 g/l of VOCs, but can be as high as 100 g/l. Darker pigments tend to have higher levels of VOCs. 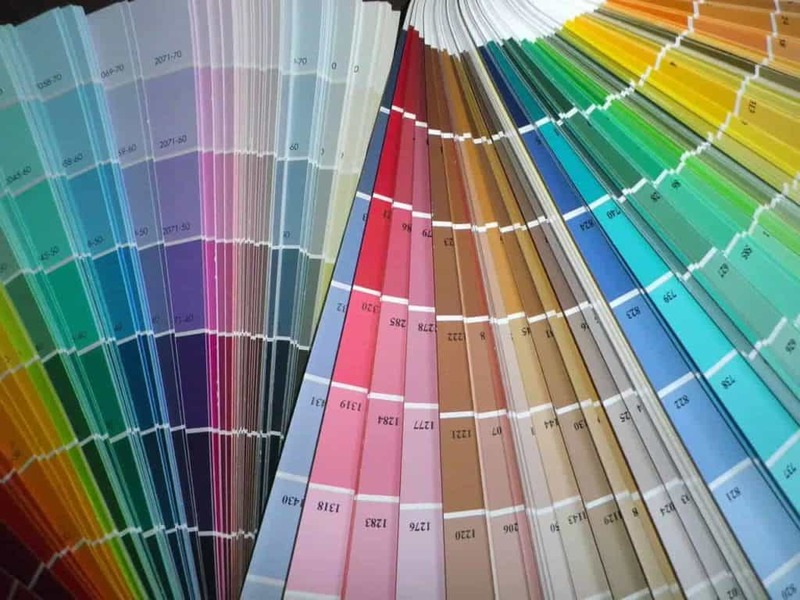 Before choosing a brand of paint, it is wise to request the MSDS sheet from the manufacturer. I never intended to learn so much about paint but I’m glad I did. Are you still going to paint your nursery? Which paint did you decide to use?